The Northwest entrance of the new Fiber Arts Studio. Photograph: Shauna Bittle. 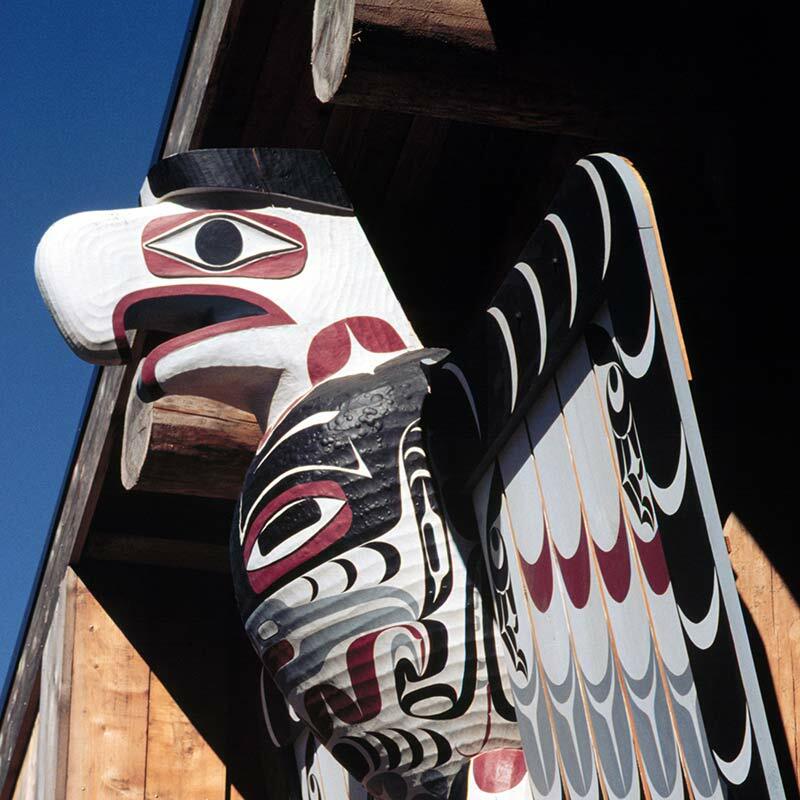 Fulfilling its vision as a gathering place for people of all cultures, the Longhouse Education and Cultural Center has created a home and community base over the past two decades for artists and arts organizations across the United States and around the Pacific Rim. The Longhouse is currently in the process of designing, developing and building a one-of-a-kind Indigenous Arts Campus where the art-making facilities and campus are based on Indigenous architectural design and cultural concepts. The first building, a Carving Studio in the shape of a replica longhouse, named Pay3q'ali, opened in August of 2012, with support from the Ford Foundation. The second building, a Fiber Arts Studio that pays architectural, cultural and artistic tribute to the Longhouse’s relationships with Māori artists and arts organizations in New Zealand, was completed in early 2018. A new 2,000 square foot carving studio is now in progress and will be completed by the end of 2018. The existing carving studio will then become the Indigenous 2-D Design Studio. A Cast Glass Studio will be designed and constructed by 2021. This new campus is being developed, concurrently, with the establishment of a Master of Fine Arts in Indigenous Arts degree program at The Evergreen State College. The Indigenous Arts Campus will create a series of spaces to foster vibrant, culturally-interconnected art-making for Indigenous peoples around the Pacific Rim, with particular emphasis on Salish peoples of the Pacific Northwest. 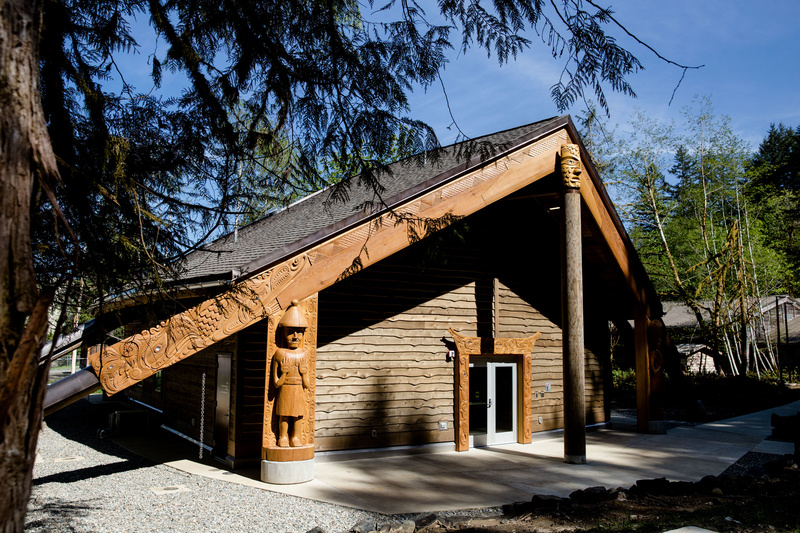 The new facilities will leverage the networks and creative potential already demonstrated by the Longhouse’s successful intergenerational programs. The Indigenous Arts Campus will connect programmatically with the initiatives of surrounding tribes—many of whom have recently built new facilities such as youth centers, carving studios and cultural centers. While being mentored by master artists from around the world, artists can work in media not readily available to them at home, and participate in Indigenous cultural exchanges. This project will have far-reaching economic and cultural impacts for artists, tribes and numerous rural communities by fostering significant professional development of emerging artists and opening new markets for their work. Artists will learn and preserve important cultural art forms to pass on to the next generation and will also express their creativity in contemporary and emerging media. Influenced by peers from diverse backgrounds, they will create new work to sell at the Longhouse’s local and regional markets and exhibitions that engage the broader public and promote Native arts and cultures. The Evergreen State College hosts thousands of visitors every year, and the Longhouse is a primary campus attraction as the college’s premier gathering space. The creation of the Longhouse’s Indigenous Arts Campus will provide intriguing new indoor and outdoor spaces for people to gather, interact and learn more about Indigenous arts and cultures. The Carving Studio, Pay3q'ali, meaning "A place to carve" in southern Salish. Photograph: Shauna Bittle.